Analysis: Online video is getting huge in the Hispanic market. 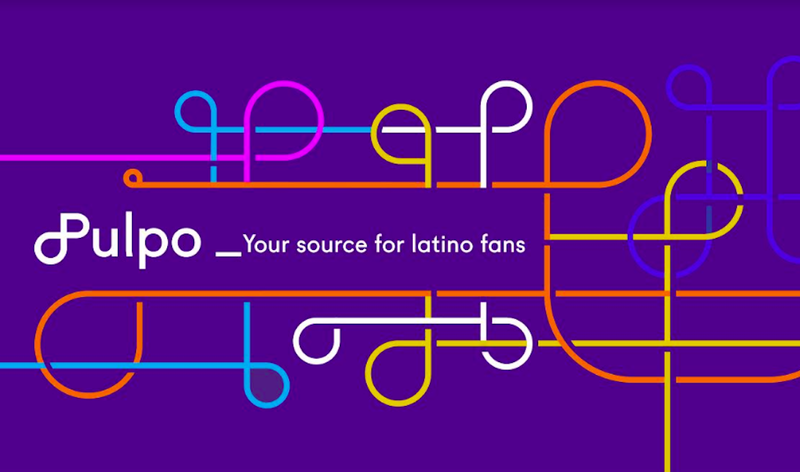 Major general market players including Videology, Tremor Video, AdapTV, Yume, Tube Mogul and video entertainment network Machinima now have dedicated units exclusively targeting the U.S. Hispanic market. Many of these companies focus on video ad delivery across multiple screens (connected TV's, mobile, tablets and desktops) to target precise consumer segments—at scale—by demographics, psychographics and behavioral segments. But, in the midst of all this sophistication, what about the creative to use in online video ads ? Can TV spots just be repurposed? Below what several advertising experts think. One trend is clear and it is that major buying agencies increasingly see video as a channel agnostic vehicle. "We have many online video campaigns live right now. As we wind down the upfront buying season, video was front and center across screens from TV to desktop to tablet to mobile. More than ever before we are approaching video buying with a screen neutral mindset to align with how Hispanics consume and overconsume video across screens and devices," Marla Skiko, SVP Digital Innovations at SMG Multicultural tells Portada. But should'nt video ads be adapted to the characteristics of the different channels they are used in? Online video may be a media buy, but at heart it is a creative piece. The "No way, Do not repurpose School"
Xavier Mantilla, Partner at IPG MediaBrands in Miami notes that "online video may be a media buy, but at heart it is a creative piece. If media agencies got more together with creative agencies , these would be much more successful. When we look at video campaigns that have had higher click-through rates we realize that the creative had a very big part, as well as where it was running, so this fusion of art and science needs to grow. But then, we need to invest in this and not just repurpose videos." Marla Lopez Knowles, CMO at Pulpo Media, has a similar view: "I, personally, believe that developing online video ads will drive greater engagement than the mere repurposing of TV broadcast content. Again, driving more personalized communications drives greater engagement and brand affinity. We all want advertisers to recognize us as unique. The more they can speak to a consumer as a unique individual, informed by deep knowledge and insights about the individual/audience, the greater the engagement. It’s more than just reach; it’s reach and touch. TV broadcast content, by its very nature, is meant for more mass consumption and broad reach." On the web we can finally spread our wings and practice “storytelling” like never before. John Trainor, publisher of Hoy Chicago, also appeals to the different characteristics of the channel where the online video ad is shown: "On the web there are no time constraints or space restrictions like there are for TV or print. There are no 2-minute per segment or 700 word limits, meaning that we can finally spread our wings and practice “storytelling” like never before. It is not about adapting TV content for the web nor is it about adapting print content for the web, it is about telling the story in the best possible way, leveraging all the new tools available to our generation. Regarding the question that always comes up on whether " size matters" we have learned that it’s not about the length of the video, its what’s in the video what matters, therefore we focus on creating engaging content rather than content you can squeeze within limited space constraints." Trainor sees the biggest opportunity in branded content and cross-channel sponsored opportunities. As an example he cites a branded content series Hoy Chicago did for Loya Insurance which consisted of a series of 4 videos for "auto enthusiasts" which combined print and digital-video. The "One Creative across screens School"
Make no mistake, for major Hispanic broacasters such as Univision and Telemundo, online video advertising revenues are still small compared to the billions they yearly get out of traditional Spanish-language TV and cable advertising. However, it is very important to mention that Spanish-dominant Hispanics spend substantially more time (50% more!) than English – dominant Hispanics watching online video content. The economic power of traditional TV and cable advertising may be a reason for the one size fits all approach in which the TV creative is used on all online video channels. I can not think of a single occasion when the broadcast repurpose does not work for us. "We use online video in almost every online ad program because we have found it to be three to fours times more effective in un-aided recall. I can not think of a single occasion when the broadcast repurpose does not work for us," says Robert L. McNeil. President & CEO of IMAGES USA in Atlanta, where he creates campaigns for the Center for Disease Control, Nickelodeon and Brown Foreman. Todd Wilson, until recently SVP Managing Director at Starcom Mediavest Group Latin America in Miami (he now is SVP Managing Director, P&G Asia at Starcom Mediavest Group China) says that Starcom has been running Latin American campaigns for P&G and Samsung and that he tends not to differentiate online video usage by campaign, rather seeing online video as another screen for all client products we would normally target across broadcast and cable. Of course, the characteristics of every brand, the campaign objective, the timing and the channel used are different. So, it may make sense not to have a clear answer on whether repurposing TV spots or not is the way to go. SMG's Skiko notes that "using TV spots for online video creative, is still quite common. We always advocate for messaging that is relevant and will resonate. As we keep planning video across screens it very well may make sense to have the same spot regardless of which screen it is on. That said, we need to be mindful of how behaviors change in digital areas vs. TV and consider how to best utilize TV spots. For instance, if a :30 and :15 are available we would likely suggest use of the :15 online. It is also important to try to capitalize on the nuances of digital and the vast array of creative units and options that exist to match the message format and functionality best to the screen and content in play. "Ideally, we try not to re-purpose broadcast video for use in digital platforms," Brett Dennis, Chief Media Communications Officer at Conill, asserts. Dennis adds that, "while there are certainly production efficiencies that can be gained from using similar assets, we work closely with our creative teams to tailor video content to the medium. We do this for two primary reasons. First, we want to create an emotional connection with people based on the environment they are consuming our message. That might mean different creative approaches, not necessarily different campaign approaches. Second, to drive different behavior based on the channel of video being consumed. We expect a different action from somebody watching video on their big screen TV in the living room versus somebody watching video on their mobile phone while riding the train to work." According to Dennis, a multi-screen video approach is a consistent part of most campaigns he deploys for clients. "Our current efforts for T-Mobile and Toyota's Corolla, Camry and Highlander all include video elements across TV.Internet, mobile and social channels. The types of video elements we select are driven by the consumer journey for each brand, the role each media channel plays within that journey and the behavior we want to elicit from consumers.